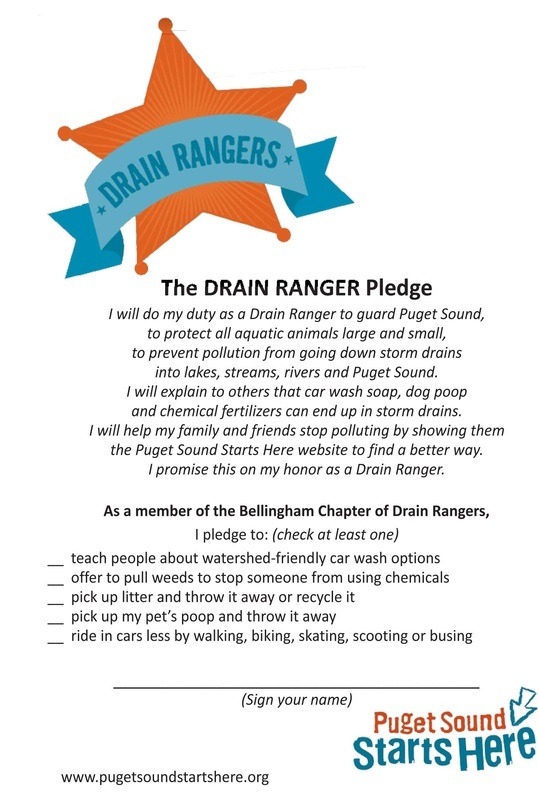 Description: This Drain Ranger pledge reminds kids that storm drains lead to streams and includes five tips for preventing pollution. 1. Pick up litter. 2. Hand pull weeds in the yard. 3. Be careful where you wash your car. 4. Ride your bike, walk, or take the bus. 5. 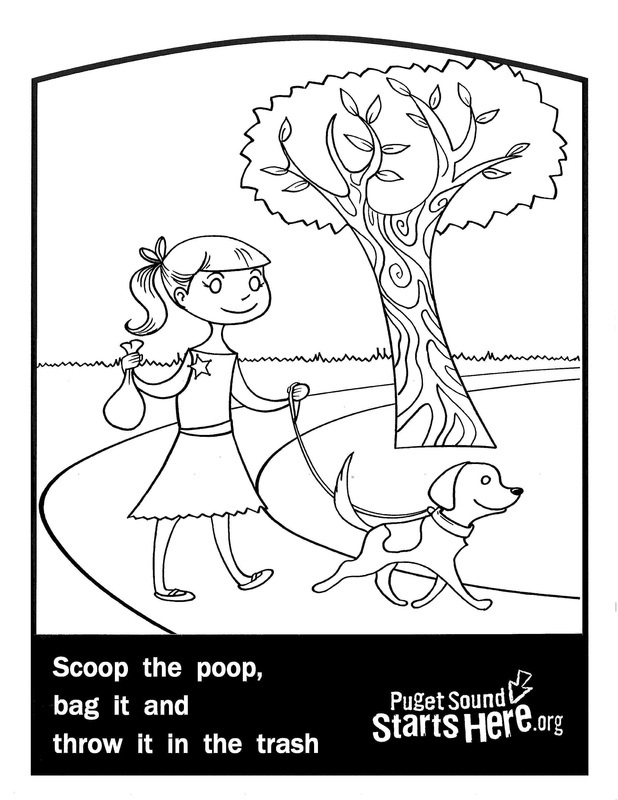 Scoop the poop. 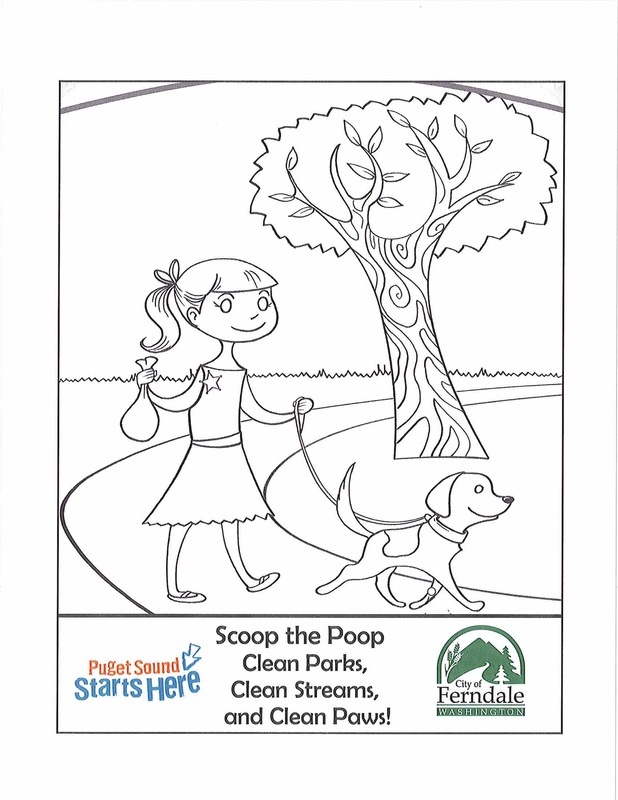 Description: During PSSH month, water pollution prevention poster contest is for local schools. 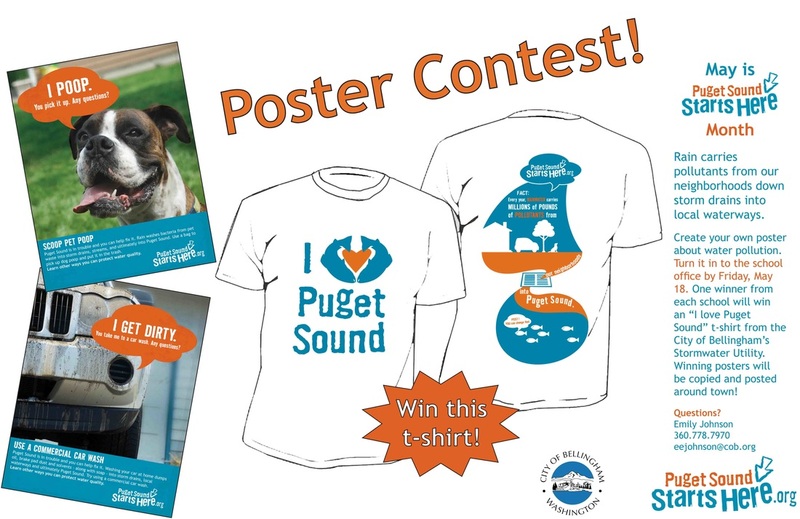 Winners get a "I love Puget Sound" t-shirt . 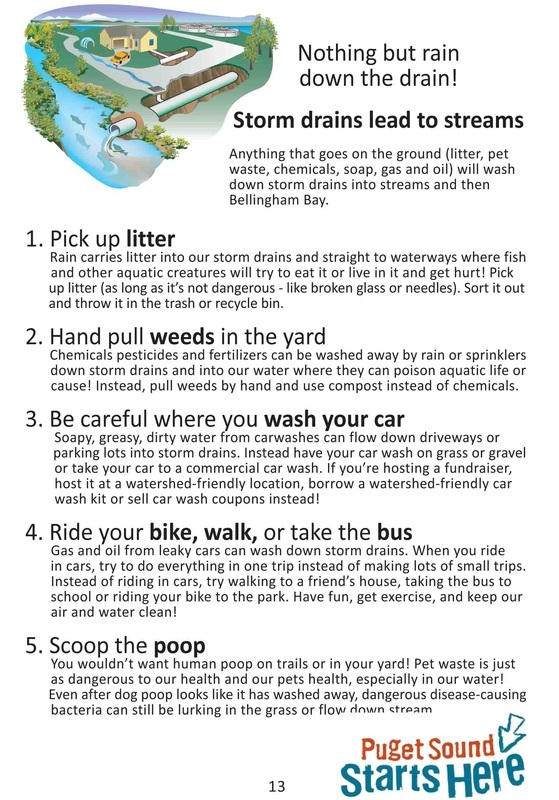 Description: This postcard invites kids to find potential sources of pollution around their home then answer a few online questions. Description: This is the original coloring page with th "Drain Rangers" logo. 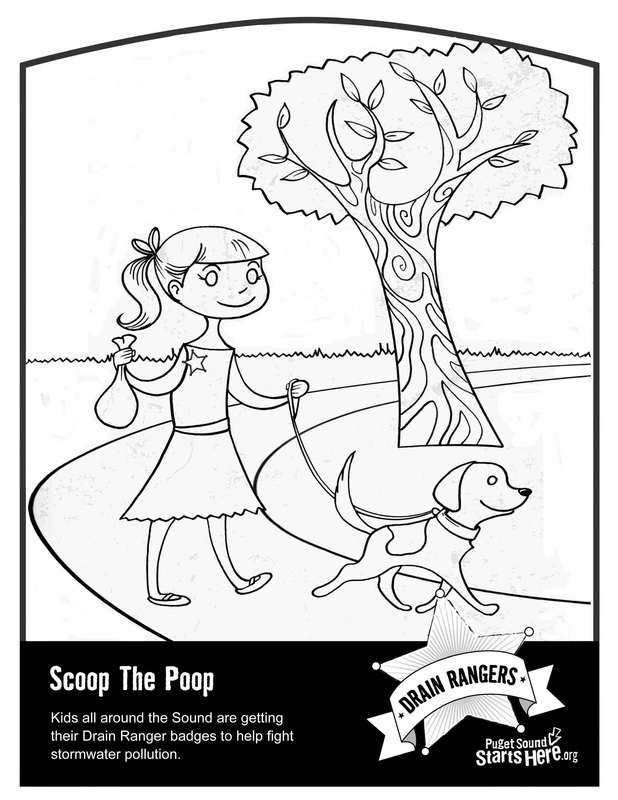 Description: The original Drain Ranger coloring page was modified for a situation where the Drain Ranger program was not the main theme. 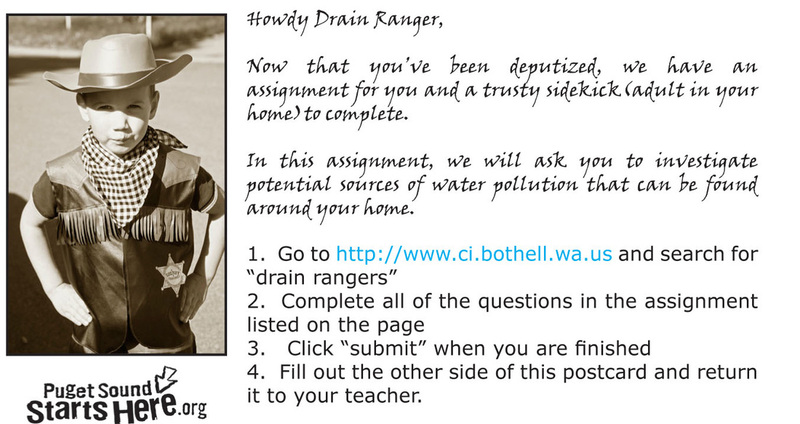 Description: The Drain Ranger coloring page was modified for a classroom presentation where the Drain Ranger program was not the main theme. 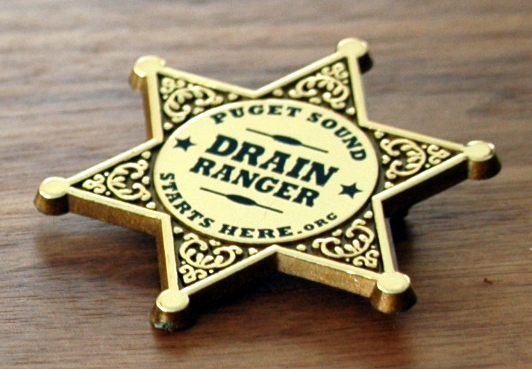 Description: These plastic "Gold Sheriff's Badges" are 2" x 2-1/8". With an order of 7,700 the cost with tax and shipping included was $0.67 each.